Most adult Americans are overweight or obese, and even one out of every three children fit this category, too. Most experts blame the fattening of America on fast foods, sweet drinks, and high-fat and high-sugar foods. It's time to change the way we eat and make healthier choices. Learning about portion control can also help eliminate unnecessary and excess calories. Foods with a high-sugar and fat content are the source of most of our calories. Most common among these are yeast breads, cookies, and cakes. Sodas and sports or energy drinks are also culprits. Even some chicken dishes (breaded or fried) contribute too much fat to our diet. 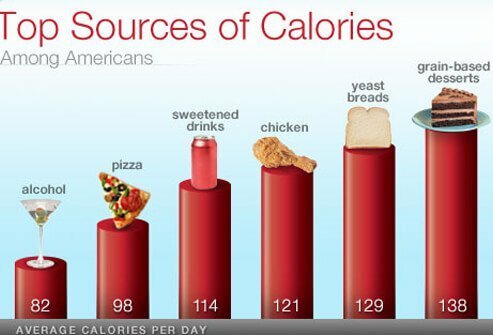 Other high-calorie foods that are staples in the American diet are pizza, pasta, and alcoholic beverages. Fruits and vegetables are only a tiny part of our daily calorie intake. Fats and sugars account for about 800 calories a day in the typical American diet, about half of the calories needed by an average woman for a day. 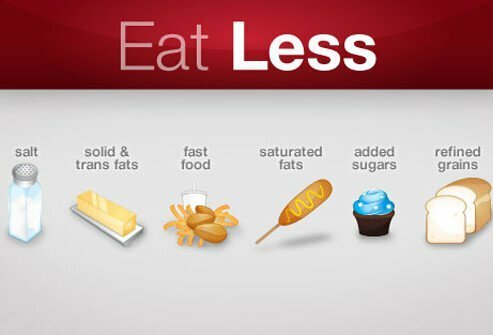 U.S. dietary guidelines recommend limiting the intake of solid, trans, and saturated fats. Eliminating fast foods and refined grain products (like white bread) are two first steps to a healthier diet. Cutting back on salt can also reduce the risk of high blood pressure and heart disease. You can substitute healthier foods in your diet. Use olive or canola oils instead of solid fats like margarine or butter. Consume mostly whole grains instead of cereals or breads with refined grains. 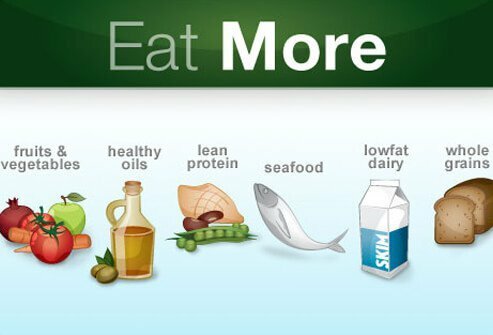 Other healthy food choices are nonfat or low-fat dairy products, beans, and fruits and vegetables. Make over favorite foods to be healthier. The typical pizza is full of refined grains, saturated fat, solid fat, and calories. Substitutions can fit this favorite into a healthy diet. 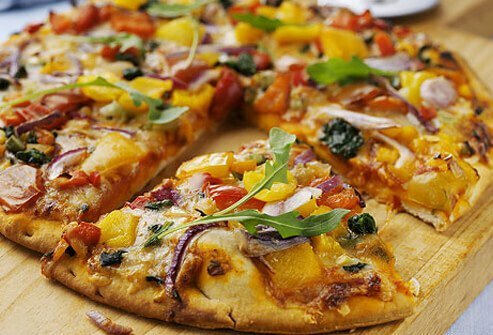 Use a thin crust made of whole grains. Have many veggies as toppings instead of meat. Reduce the amount of cheese on top. Have just one slice and enjoy a salad as a side dish. Whole grains include the outer shell (bran) of wheat, barley, rice, or other grain. 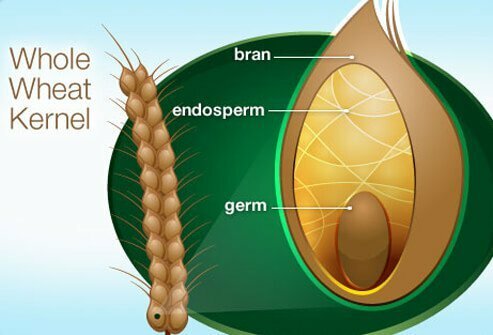 This outer shell includes fiber, vitamins, and minerals, all of which are part of a healthy diet. Fiber also helps people feel full and keeps bowel movements regular. White, or refined, flour is made from the kernels of grain after removing the bran. Removing the bran removes much of the vitamins and fiber. Solid fats have plenty of saturated and trans fats. They're called solid fats because they are usually solid at room temperature, like butter, shortening, and margarine. Animal fats also fit into this category. Fatty meats, cream, chicken skin, bacon, and some cheeses contain solid fat. Healthier fats have unsaturated fats and are usually liquid at room temperature, like oils. However, if oils are hydrogenated, they become solid fats. Hydrogenated oils are found in some margarines, packaged desserts, and baked goods. Downsizing portions to healthier sizes allows the body to become accustomed to the correct portion size. 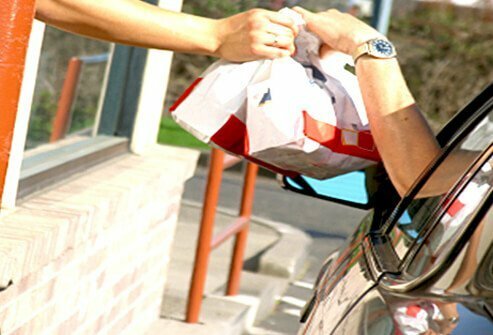 Most meals at fast food joints and restaurants are super-sized in terms of portions and calories. Dinner plates have gotten bigger, too, along with portion sizes. While many people have been taught to "clean their plate," this may mean that 'they're overeating. 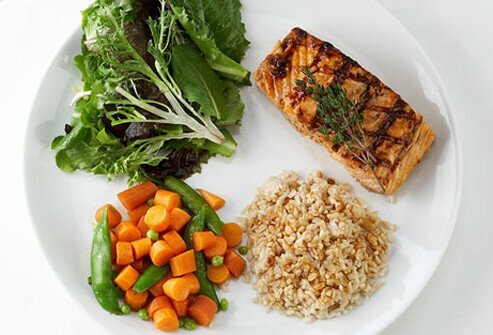 Eat from a smaller plate, like a salad plate, for proper portion sizes. Learn the right portion size and serve this amount, not going back for seconds or serving on family-style platters. Keep leftovers in single-serving portion containers. Make restaurant portions fit into a healthy eating plan. Order a half portion or child's plate. If ordering a full-sized entrée, ask that half of it be boxed up before eating. Choose an appetizer and soup instead of a main dish. Daily caloric intake depends on a person's age, gender, and activity level. In general, a woman who is not physically active should take in about 1,600-1,800 calories per day. An average-sized, active man probably needs 2,400-2,800 calories. only 160-330 calories from solid fats and sugars. 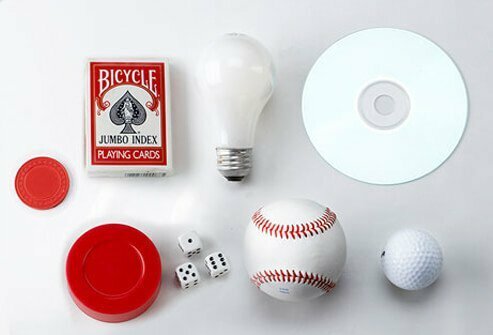 Keep a mental image of the right portion size by imagining everyday items like a baseball, CD, or a deck of cards. 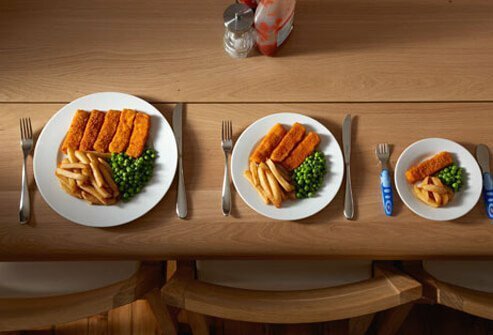 This way it's easy to recognize healthy portion sizes. 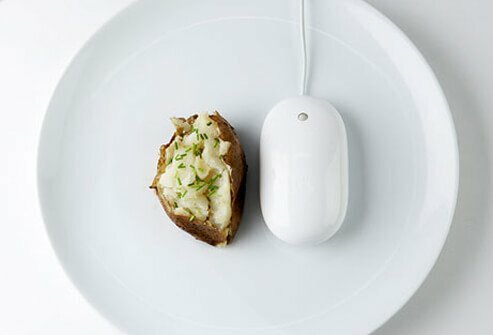 The correct portion size for a potato is about the size of a computer mouse. That equals 1 cup of vegetables. But restaurant potatoes are likely to be much bigger and loaded with toppings that pile on the calories. When dining out, eat half the potato, or opt for a healthier sweet potato (loaded with vitamins A and C) instead. 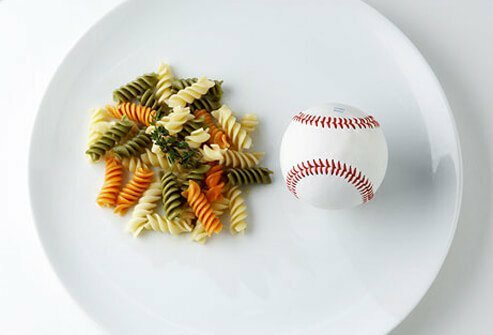 One half-cup of pasta is about the size of half a baseball. That's 1 ounce of pasta (grains). Be sure to count the number of pasta servings in the tally of grains for the day. Skip the bread if eating more than one serving of pasta. Choose tomato sauces instead of high-fat creamy sauces. 'Choose a low-fat dressing when making pasta salad. 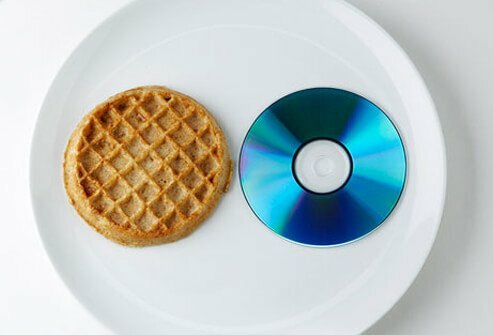 A 1-ounce portion of grains in a pancake or waffle is about the size of a CD. Replace the stack of pancakes with one pancake plus an egg, to get in one serving of grains and one of protein. Or choose whole-grain pancakes, like buckwheat or whole-wheat pancakes. Choose fresh fruit or sugar-free syrup for toppings. Bagels and muffins may seem healthy, but they often contain two to three times the recommended portion size. Even a low-fat muffin can contain 300 calories. Butter or cream cheese on top can add even more calories and fat. 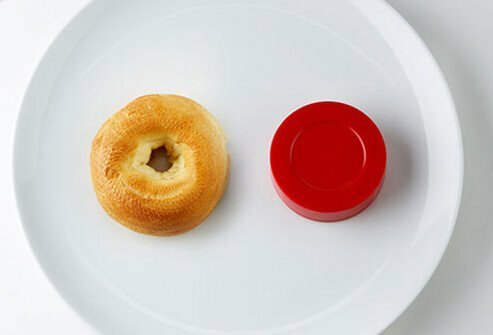 For a single 1-ounce serving of grains, that's about half a medium bagel, the size of a hockey puck. Save calories by switching the bagel for a high-fiber English muffin. Stick to whole grain bagels, and have half of a large one. 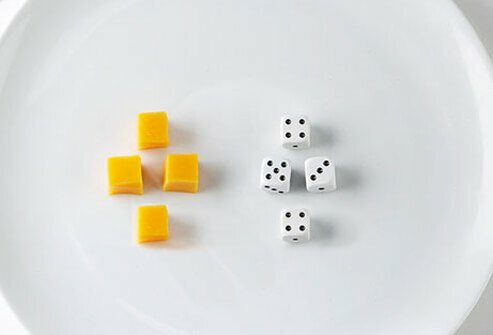 A single serving of cheese is about the size of four dice! That's a 1-cup serving of dairy. It also has about 3 teaspoons of unhealthy solid fat. Try low-fat cheeses, or just nibble at a small piece of cheese. Reduce the amount of cheese on the pizza or ask for low-fat cheese. How Much Meat Is Enough? 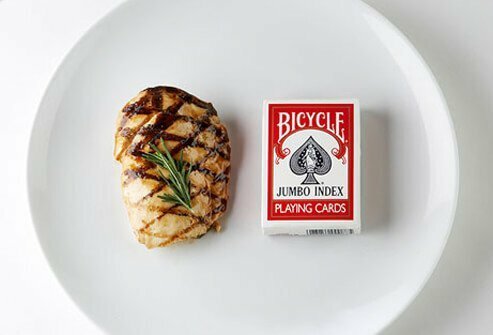 One portion of protein - meat or fish - is about the size of a deck of cards or the palm of the hand. That is a 3-ounce portion, and adults need only 5 to 6 ½ ounces a day. For example, a handful of nuts, 3 ounces of meat, and one egg make up the recommended protein consumption for a day. 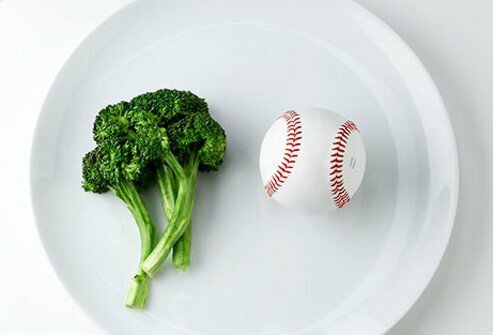 A 1-cup serving of fruit or veggies is about the size of a baseball or a fist. Try to consume a variety of colors -- greens, red, and orange. Dark greens like spinach, kale, and broccoli are good for the heart. 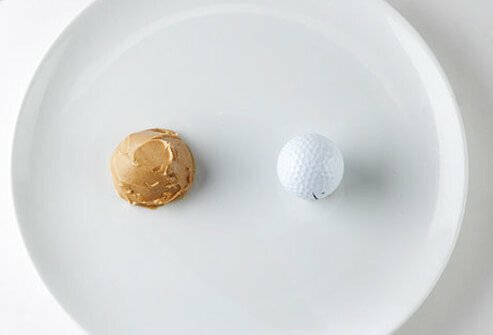 A golf ball is about the right size for a portion of peanut butter. That makes 2 tablespoons or two 1-ounce servings. While peanuts have healthy fats, that's still fat and a significant amount of calories. Two ounces of peanut butter have 190 calories. 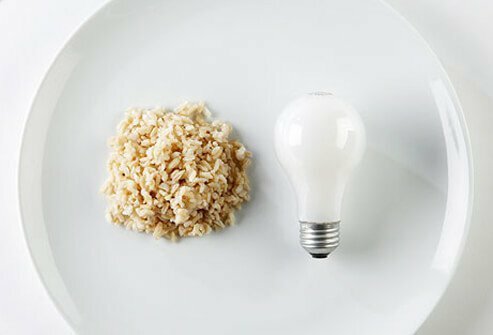 Two servings of rice (two grain servings) are about the size of a light bulb. Rice is low in calories and fat and makes a healthy main dish when served with vegetables like peppers, onions, bok choy, or carrots. Stir fry the vegetables in a bit of healthy canola or peanut oil. Brown rice has more fiber and is a healthier choice than white rice. Of course, it's possible to negate all the health benefits of rice if it's topped with fried foods or high-fat sauces. One fat portion is just the size of a poker chip or a stack of four dimes. That is 1 teaspoon. Cutting out excess fat can bring down weight. People typically consume fats in products like salad dressings, nuts, meats, and cooking oil. 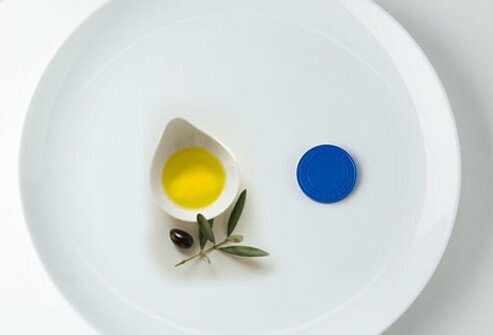 When dining out, ask for a vinaigrette dressing on the side and spoon on just the amount needed instead of opting for a rich, creamy dressing. 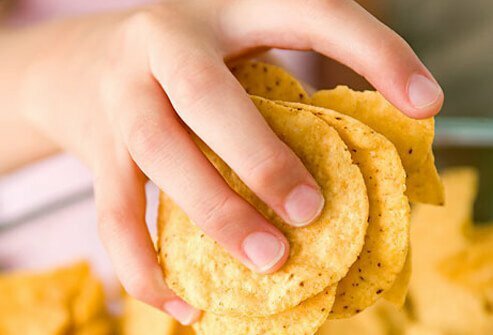 An ounce of chips – six large tortilla chips or about 20 potato chips -- has 2 teaspoons of oil (fat) and 150 calories. 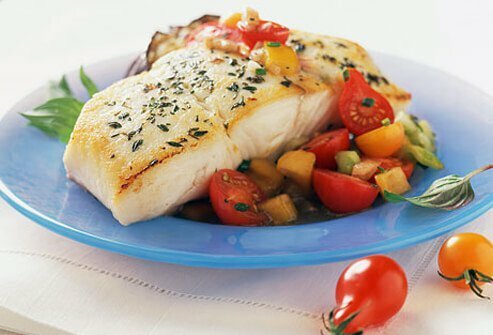 This 1-ounce portion can contain half the amount of fat a woman should consume in a day! Some chips may be better choices -- look for baked, multigrain, or vegetable chips. These may have less fat than traditional chips, but be sure to check the label. 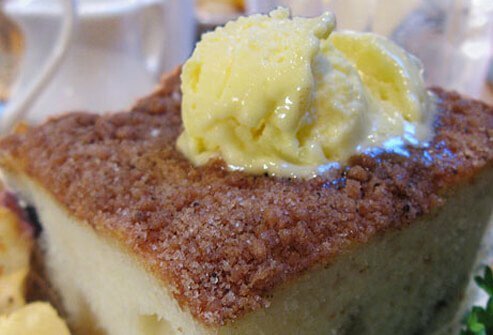 Desserts are usually full of fat and sugar. 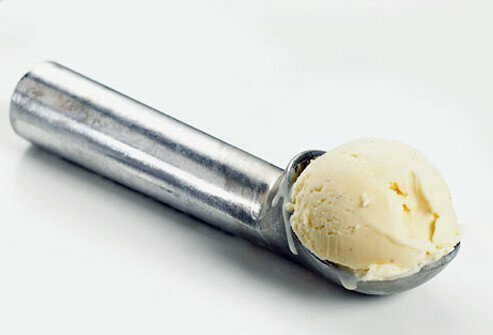 One 4-ounce portion of ice cream, or ½ cup, is about half the size of a baseball. A cup of ice cream (two portion sizes) can have 285 calories and three-fourths of the daily fat intake for an inactive woman. Limit portion sizes when craving a sweet, and have some fruit or milk with one cookie instead of several cookies. Choose dark chocolate to satisfy a craving, since it has less sugar.